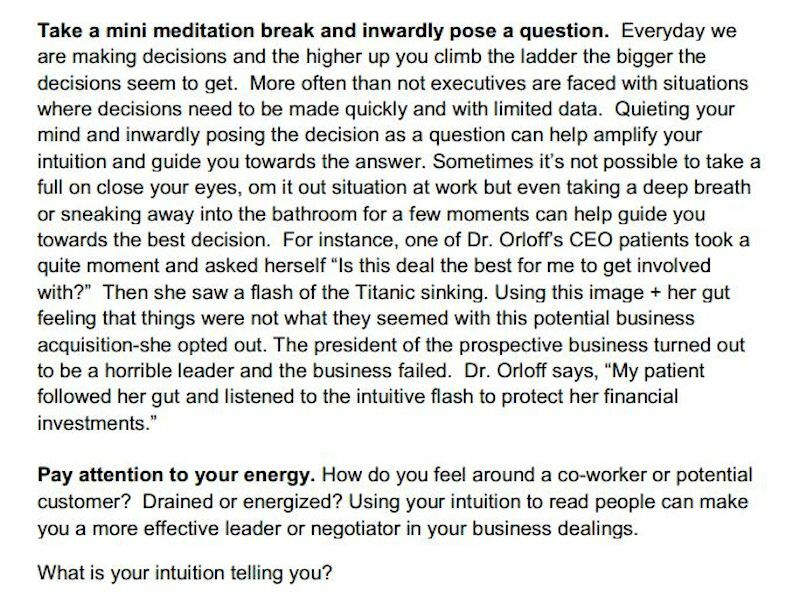 In my private psychiatric practice, I work with executives who come to me to develop their intuition. Intuition is the ability to know something from an instinctive feeling rather than simply conscious reasoning. It is an inner knowing accessible to us all that can guide us through life. 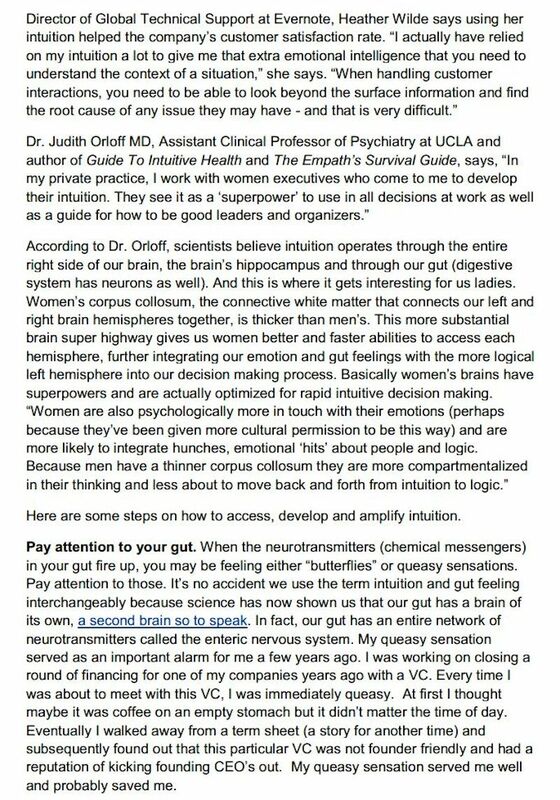 Scientists believe it operates through the right side of the brain or through our gut, producing that gut-feeling so many of us can recognize. 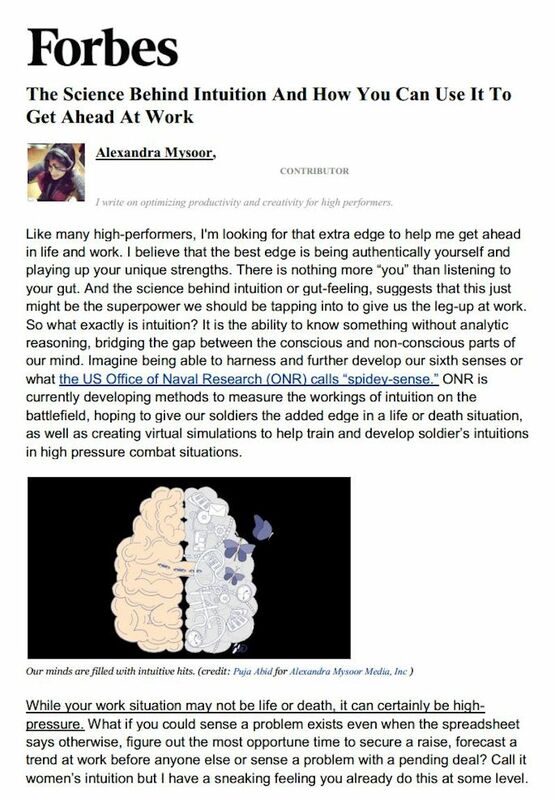 Women’s brains are optimized for intuitive decision-making because of their highly developed corpus callosum (the bridge between the left (intellectual) and right (intuitive) hemispheres of the brain. Recognizing and trusting our intuition takes practice but once it is developed it has the ability to guide us through life’s biggest questions. In this Forbes article, I share steps to access, develop and amplify intuition to fully tap into this superpower.